Sieda Behavioral Health and Treatment Services’ mission is to reduce substance abuse and multi-occurring issues within the communities we serve by providing quality comprehensive prevention and treatment services that encompass all aspects of persons’ served life. Sieda’s Substance Abuse Services program is licensed by the Iowa Department of Public Health. 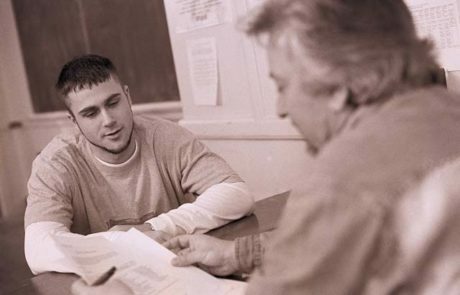 Behavioral Health and Treatment Services provides outpatient substance abuse treatment and evaluation services. Our programs begin with a thorough evaluation of the treatment needs of our clients followed by the development of a comprehensive treatment plan intended to address the specific concerns identified by the client. Aftercare and referral are also available. All contact with Sieda Behavioral Health and Treatment Services is strictly confidential. All client information is protected under the Health Insurance Portability and Accountability Act of 1996 (HIPAA). No information will be released without the prior written consent of the individual. Sieda Community Action’s Behavioral Health and Treatment Services are accredited through CARF International. CARF accreditation signals a service provider’s commitment to continually improving services, encouraging feedback, and serving the community. For more information on what CARF accreditation means to you, visit them online at www.carf.org.